The legal industry lives, breathes, and runs on information. You need to review state laws, specific statutes, previous rulings, court documents, case studies, client records, invoices—right away. Otherwise critical moments will be lost and your clients’ time wasted. On top of all that, these sensitive documents also need to be highly secure and protected. The good news is there is a solution to this conundrum. 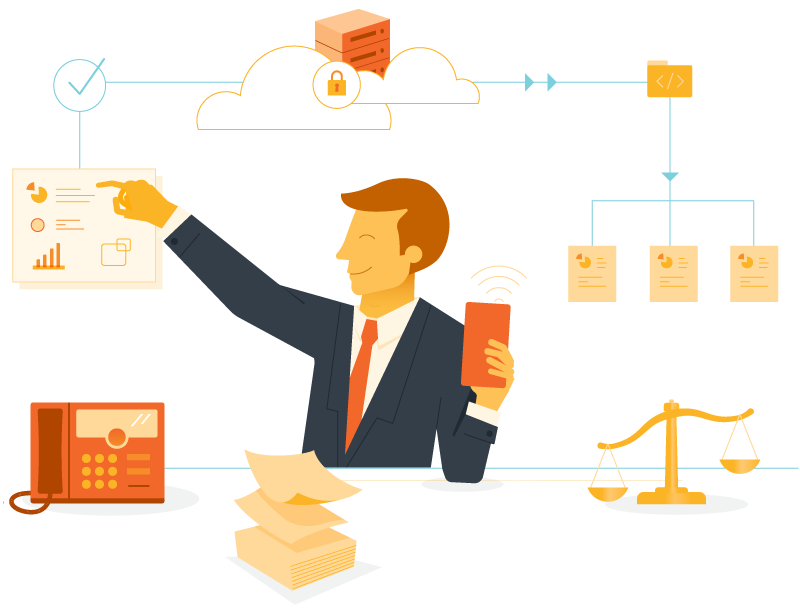 How do you ensure security and version control as offices, multiple attorneys, and courts circulate, create, review, and approve documents? It’s easier done than said with Office1. You can back up your critical information and have confidence in your disaster planning and recovery solutions. There’s no substitute for experience. We’ve partnered with law firms and other legal organizations for more than three decades. We’re ready to partner with you to curate the ideal customized solution. Our business is all about optimization, so we excel at analyzing your current technology and then mixing and matching the services we offer to perfectly suit your needs, client demands, and budget. Our Legal Solutions will improve your firm or practice’s processes and enhance its client experience. Case closed.